CEAT Kelani Holdings has announced the appointment of Mr Ravi Dadlani as Managing Director of the company with effect from 1st March 2018. Previously Vice President Sales, Marketing & Exports at CEAT Kelani, a company he has already served for 11 years, Mr Dadlani succeeds Mr Vijay Gambhire, who returns to CEAT Limited India on completion of his term. The first Sri Lankan Managing Director of CEAT Kelani Holdings, Mr Dadlani’s appointment comes at a time when the India – Sri Lanka joint venture tyre manufacturer is on the cusp of rapid expansion of its product range and manufacturing capacity. In January this year, the company announced a new investment of Rs 3 billion in its manufacturing operations in Sri Lanka. A marketer by profession, Mr Dadlani joined CEAT Kelani in 2007 as General Manager Marketing and Sales and went on to become Vice President – Marketing, Sales & Exports. In this capacity he has interacted with policymakers at the highest levels to protect and enhance the contribution of domestic manufacturing industries. He is also involved with initiatives for the development and sustainability of the rubber industry in Sri Lanka in the capacity of Deputy Chairman of the Sri Lanka Association of Manufacturers and Exporters of Rubber Products (SLAMERP), the apex body of the Rubber industry. 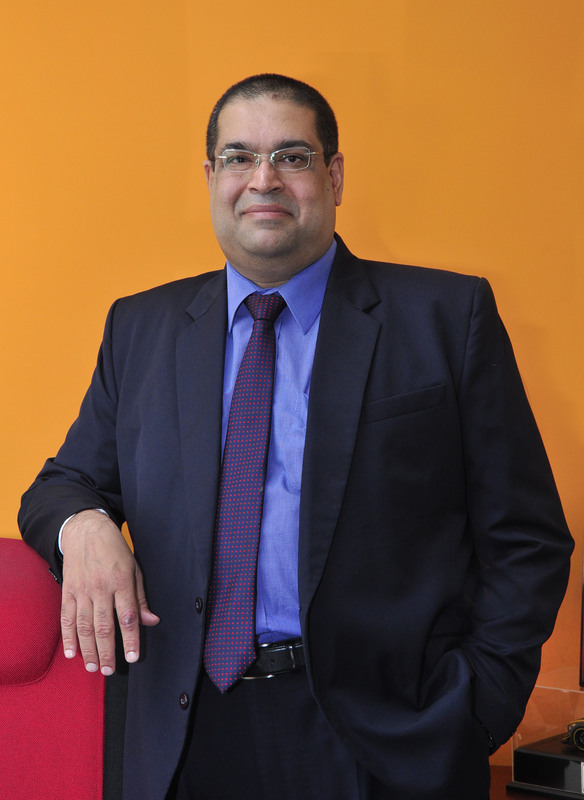 At CEAT Kelani Holdings, Ravi Dadlani has played a pivotal role in strategic planning and implementation of ground-breaking initiatives in the domestic tyre industry while developing international markets for the company, which today exports about a third of its production to 15 countries in South Asia, the Middle East, Africa and the Far East. A past pupil of Royal College, Colombo, Mr Dadlani completed his preliminary marketing studies with the Chartered Institute of Marketing (CIM), UK in 1989 and has since completed several management and leadership development courses with the National University of Singapore, the Indian Institute of Management, the Indian School of Business and the Japanese Union of Scientists and Engineers. Among the positions he held before joining CEAT Kelani were directorships at S-Lon, ICL Marketing and Pepsi Cola in Sri Lanka. CEAT Kelani’s manufacturing operations in Sri Lanka encompass the radial, commercial, motorcycle, three-wheeler and agricultural machinery segments. The brand accounts for market shares of 32 per cent in the radial segment, 51 per cent in the Truck/Light Truck category, 54 per cent in the 3-Wheeler segment, 23 per cent in the motorcycle segment and 72 per cent in the agricultural tyre category. A new investment of Rs 3 billion over the next two years will see the establishment of a state-of-the-art plant in Kelaniya for the manufacture of Truck Bus Radials (TBRs), the first plant of its kind in Sri Lanka, the expansion of the existing cutting-edge passenger car radial tyre plant at the same location to double production, and the doubling of CEAT Kelani’s motorcycle tyre production.